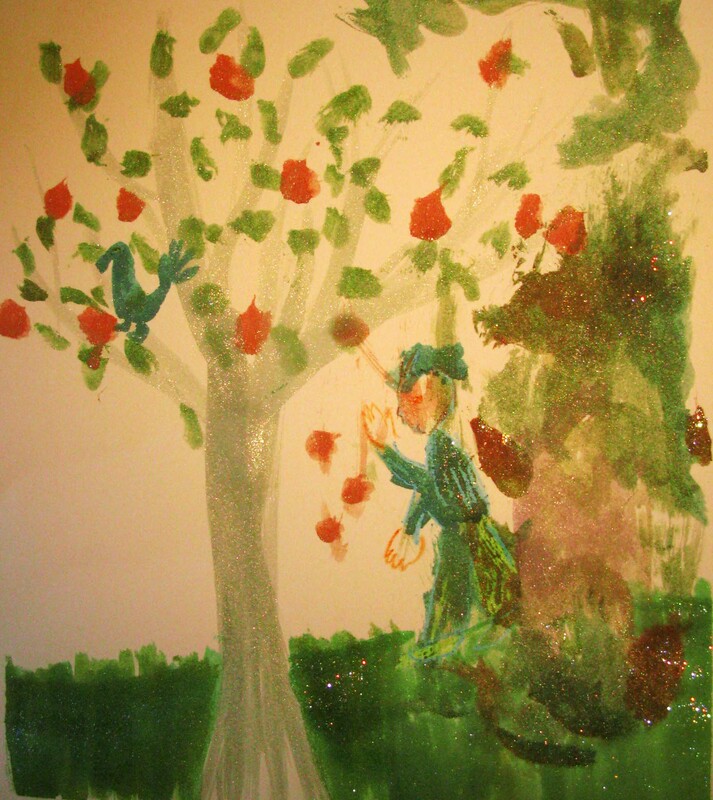 Here is my three-year-old’s and my adventure in visual art today. I did the tree. We did the man picking apples together and the bear monster behind the man is totally his. I gather from how my son described the monster was that the monster protects the man and keeps him safe – so something of a talisman. I like the rooster in the tree. How beautiful Kathleen! I would love to know more about your new expressive adventures! This picture reminds me of my childhood Pooka, “Big Badger”. He followed me everywhere and kept me safe! hey I never even noticed the rooster till I read jeff’s comment. Nice picture wyatt I like the bear but it could be a wolf too. He’s got a pointy nose & a big tail.